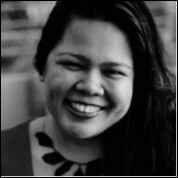 RD Marte is a Filipino feminist activist with a passion for human rights, sexual rights, and social justice issues. She has programme management and implementation experience on HIV, health financing, and women’s health and rights advocacy in the Asia-Pacific region, including in Bangladesh, Cambodia, China, India, Indonesia, Lao PDR, Nepal, Pakistan, Papua New Guinea, Philippines and Vietnam. RD currently serves as the Executive Director of APCASO, a regional network working towards just and inclusive societies that respect, fulfil and advance the rights of communities most in need. APCASO hosts the Community, Rights, and Gender Communication and Coordination Platform for Asia-Pacific (APCRG), the Global Fund Advocates Network Asia-Pacific (GFAN AP), and the Activists’ Coalition on TB Asia-Pacific (ACT! AP).